A Panamanian by birth and by heart, Raúl is the grandson of Don Tomás Arias, one of the Founders of the Republic of Panama. Raúl studied economics in St. Joseph’s College in Philadelphia, and in the University of Virginia, Charlottesville, where he obtained an MS in 1970. His thesis director was Dr.Leland B. Yeager. Upon his return to Panamá, Raúl worked in the banking industry for 10 years. Motivated by the absence of freedom and human rights in the Panamá of that time, Raúl entered politics in 1983 and quickly reached the top echelons of the Christian Democratic Party, then the largest opposition party in the country. After the elections of 1984, the first presidential elections in 15 years, he became incensed by the fraud perpetrated by the government and wrote Así fue el Fraude (Anatomy of a Fraud), a detailed and well documented exposé. This book became the all-time best seller in Panamá, was translated to English and can be found in the Library of Congress and in Harvard University’s library. Later Raúl served two terms in the National Assembly and was detained twice by the Noriega regime. After the fall of Noriega in 1990, he served the new government of Panamá as Financial Director of Public Security and was part of the team that dismantled what remained of Noriega’s Defense Forces, transforming military installations into hospitals and generals’ ill-gotten mansions into schools . Subsequently, the government of Panamá reformed the Constitution to prohibit the existence of armed forces. Panamá is now a country without an army as Costa Rica has been for many years. After leaving the public sector in 1991, he founded and succesfully managed several businesses (a brokerage firm, a public opinion polling company, and a real state development corporation). 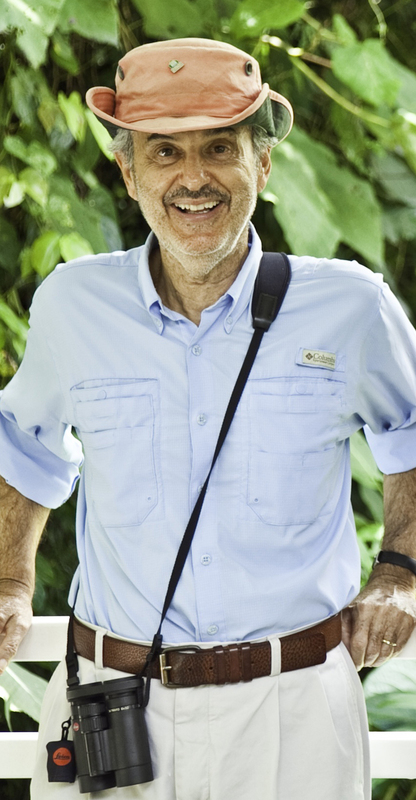 In 1994, he entered the field of ecotourism motivated by his desire to conserve a waterfall close to his heart and located in el Valle de Antón, on lands owned for over 80 years by his family. Before Raúl hired some locals previously engaged in “slash and burn” agriculture as guides, installed a gate at the entrance of the trail to the waterfall, instituted an entrance fee, and started enforcing rules, the waterfall was being ruined by insensitive visitors. The waterfall and surrounding rainforest are now clean, peaceful, and a home to innumerable birds as well as other indigenous life forms including the golden toad. Thus, an ecotourism activity was born: an activity that does not deplete the natural resources it uses, and that promotes appreciation of nature. You may read more about the waterfall and the Canopy Adventure — a truly thrilling cable ride through the canopy created in early 1995. The following year, he began to look for a place to build an ecolodge in the forests surrounding the Panama Canal and, in August of 1996, found the Semaphore Hill Radar Station which he later converted it into the Canopy Tower. A Day at the Canopy Tower Early Morning The day begins early in the Canopy Tower. Serious birders and wildlife afficionados are awakened before sunrise by the sounds of the great Panamanian rainforest.